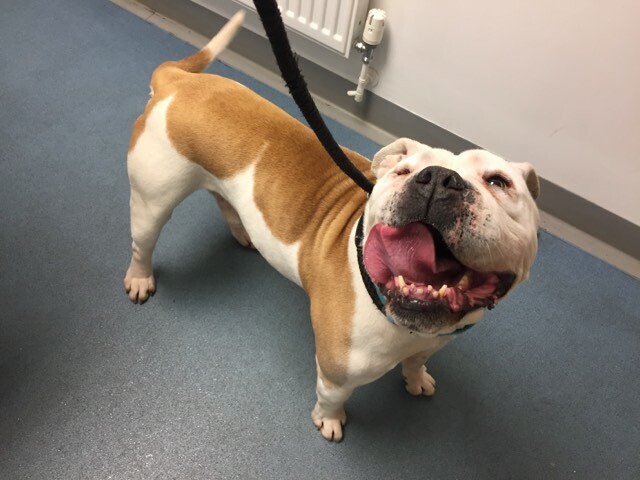 Boomer the Bulldog Cross is a fab boy with such a big character – he’s definitely a one off! 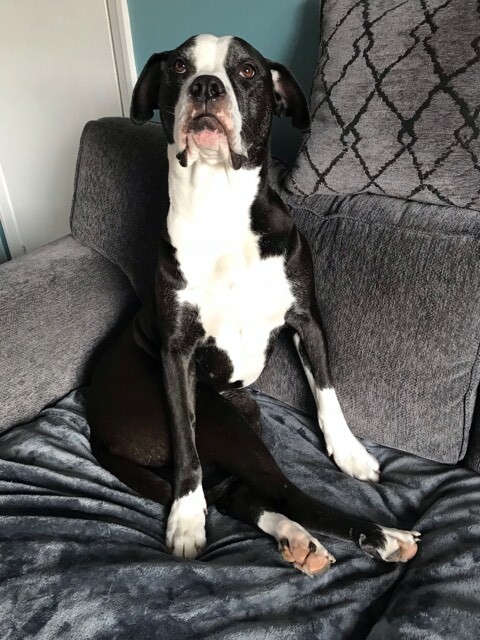 He’s around 3 yrs old but came to us as a stray so we don’t know anything of his past, we think he may be a Bulldog x Boxer as he is longer legged than a bulldog and has a full tail. He has a sunken side to his skull which our vet thinks is due to a trauma in the past, it doesn’t affect him in any way – it just adds to his quirky looks. Boomer is really friendly and silly. He loves his food, loves playing with his toys and goofing around. Boomer is very strong on the lead and needs someone who has the strength to walk him, he doesn’t know much in the way of commands and wouldn’t be reliable off the lead as he’s quite stubborn and likes to do his own thing! He is well behaved in his kennels – he doesn’t chew at all and seems to be housetrained (but will probably scent mark in a new home to begin with), he would be OK being left for a few hours. 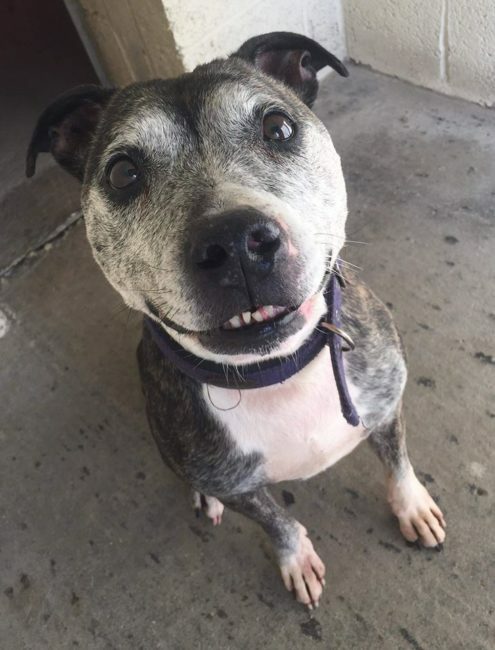 Boomer will need a home as the only pet as he doesn’t seem well socialised with other dogs, in time he may be able to live with a friendly female dog though. As he’s quite boisterous and bouncy he would be best being rehomed with children aged 12+. This entry was posted in Male, Medium, We need foster homes by Amanda HYPS. Bookmark the permalink.